The Cattle - Jaguar Conflict is the second biggest threat to jaguar conservation, after the jaguar habitat destruction. We would like to share this picture to show that not all jaguars should be cataloged "murderers of cattle." More often, jaguars are killed because they are believed by most farmers that kill livestock. These cats are opportunistic - If you come across a weak, ill, or an "easy" baby, the jaguars can eat them. However, mother jaguars teach their young to prey on their natural prey, such as capybara and caiman. In areas like the Pantanal, jaguars have a full plate. 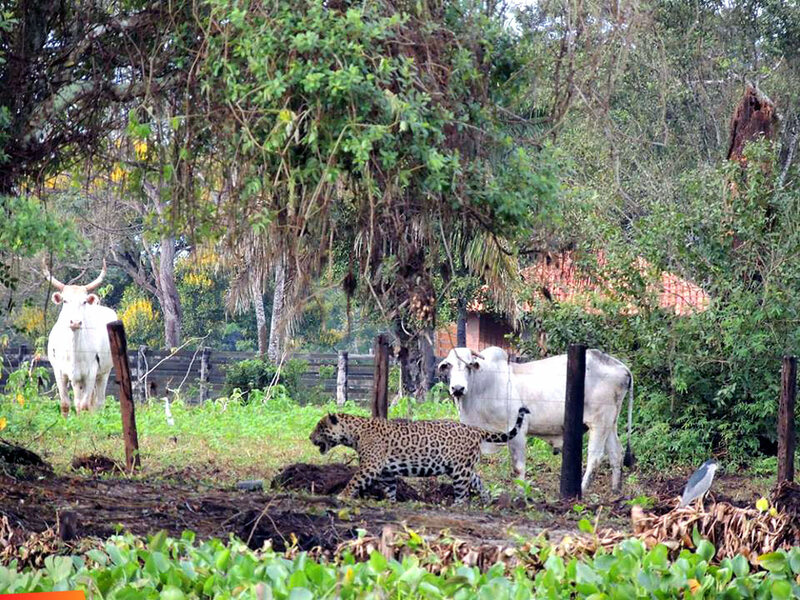 However, 200-300 jaguars are killed each year in the Pantanal, mainly because it is believed that jaguars are all killers of livestock. Notice the Black-crowned Night Heron on the lower right of the photo.